On Haven, a six-mile long, half-mile-wide stretch of barrier island, Mira Banul and her Year-Rounder friends have proudly risen to every challenge. But then a superstorm defies all predictions and devastates the island, upending all logic and stranding Mira's mother and brother on the mainland. Nothing will ever be the same. A stranger appears in the wreck of Mira's home. A friend obsessed with vanishing disappears. As the mysteries deepen, Mira must find the strength to carry on -- to somehow hold her memories in place while learning to trust a radically reinvented future. 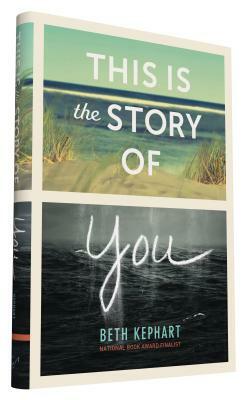 Gripping and poetic, "This Is the Story of You' is about the beauty of nature and the power of family, about finding hope in the wake of tragedy and recovery in the face of overwhelming loss.